Product description: key ring tape measure, bottle cover shape, 1m length, 6mm width, made of ABS, diversified color, imprint. If you want to make custom key ring tape measure bottle cover shape with your logo,slogan,telephone,website,email , please send us your design or give us instructions about your imprint.We'll send a free virtual art proof for your approval,you can ask a real sample with logo before production too. 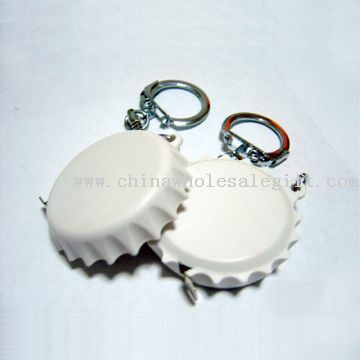 Our key ring tape measure bottle cover shape is popular as promotional,advertising, business,corporate gifts.